An employee of Friesians of Majesty Horse Farm in Townshend VT died in a fire that ravaged a barn and two apartments early Sunday morning. Upon arrival, Townshend Firefighters found the large barn and attached two unit apartments fully engulfed in flames shortly after 12:30 am. Townshend Fire Chief Douglas Winot immediately activated the mutual aid system and were sounded for a 5-Alarm. While fighting the blaze firefighters learned an employee was not accounted for, and the fire department was unable to locate the employee during the firefight. The Department of Public Safety Fire Investigation Unit was called to conduct an origin and cause investigation and to assist with locating the body. The name of the victim is not being released pending positive identification and notification of next of kin. All of the horses were able to escape to safety. The estimated cost of the uninsured buildings is estimated at $1 million dollars. 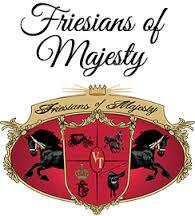 The horse farm was the largest Friesian breeding farm in the US. More details were learned this weekend about a single car crash in Croydon on Thursday. Croydon Police Chief Richard Lee said Brandon Callum of Newport was arrested for Operating under the influence of alcohol or drugs. The accident happened after Springfield NH Police sent out a Be on the Lookout for a 2013 Toyota Rav 4 driving erratically on Route 114 driving towards Grantham. Shortly after 3:30 pm, Lee received a call of a single car rollover in the woods off Route 10 South. The heavily damaged Toyota was towed from the scene and driver, Brandon Callum was arrested for driving under the influence of alcohol or drugs after he failed a field sobriety test. Callum was taken to New London Hospital for drug tests but results won’t’ be known for 45 days. Callum will appear in Newport District Court on August 1 to answer the charge. A Westminster VT Man was arrested Friday for an outstanding NH arrest warrant involving a stolen firearm. Bellows Falls Police and Vermont State Police arrested Raymond Monty Jr. on a warrant that alleged Monty stole a firearm from an NH residence and took it to Vermont where he traded it for money and Heroin. Bellows Falls’ officers located the stolen firearm previously at a Bellows Falls residence and have been working with NH State Police – Troop C on the case. In a separate incident on June 10, Monty allegedly stole money from a person in Bellows Falls and fled. Monty was already on conditions of release from Windham County Superior Court on another unrelated matter. Monty was ordered held without bail at the Southern State Correctional Facility pending his arraignment today in Windham County Court on charges of being a Fugitive from Justice (NH Warrant); Larceny from the Person; Violation of Conditions of Release and Receiving Stolen Property. A fire broke out at Blackwater Junction Restaurant on Rt. 11 in Andover shortly after 8:30 pm on Sunday. Smoke and fire were coming from the rear of the one and a half story building when firefighters arrived and a 2-Alarm was called. Mutual aid fire companies assisted with the fire. The fire was under control about 9:45 pm but crews were still at the scene as of 12:15 am this morning. WNTK will bring you an update on the fire when we receive more information.